Dan Flavin, Monument for V. Tatlin, 1968. © 2018 Estate of Dan Flavin / Artists Rights Society (ARS). Courtesy of David Zwirner & Peder Lund, opening 26 January. What happens when an institution is dismantled and shut down? Often, such an event is a small tragedy in itself. Institutions are our “social structures with a degree of permanence,” as the American sociologist Anthony Giddens put it. In other words, the loss of an institution involves the loss of a tie to the past – and the loss of the chance to shape and create the future in light of that past. Hence, many are now grieving after the closure of The National Gallery in Oslo on January 13th. However, such grief is also somewhat sentimental and unproductive. After all, this is not a case of an institution being closed down – just a building that was increasingly ill suited for its purpose. That’s a different thing entirely. The collection, the responsibilities, the knowledge and practices of the institution remain, and will probably be taken better care of in the new buildingscheduled to open at Vestbanen in Oslo in just over a year. The Office for Contemporary Art Norway and the two artist-run galleries 1857 and Diorama have also lost their previous homes. This is a far more serious problem, as these places have presented some of the finest contemporary art exhibitions on display in Oslo in recent years. In the case of OCA, there are reasons to fear that the institution’s fantastic exhibition programme will never return as before, but become dissolved in various ‘pop-ups’ and collaborative projects. Still, here too the main thing is that the institution endures. Let us hope that 1857 and Diorama will also survive – as exhibition venues with their own spaces. Ane Kvåle, Nedenfor opp, (Bottom Up, 2019). Inkjet print on photocopy paper, tape, 270 x 270 cm. From Destiny’s Gratinée–at Kunstnernes Hus, opening 18 January. 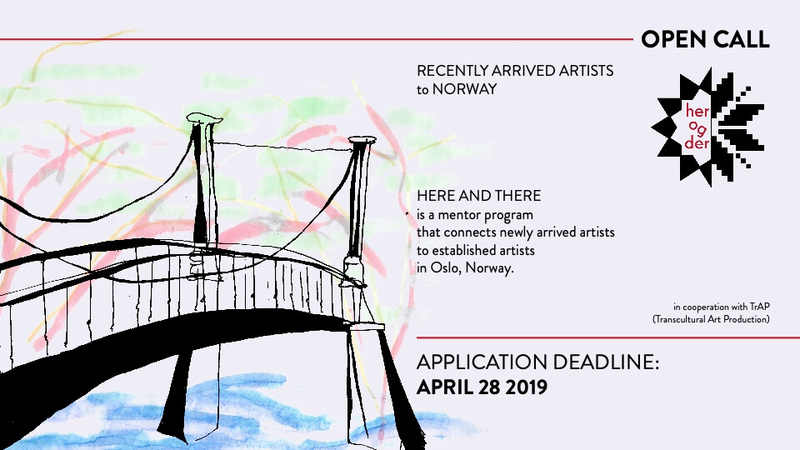 On this somewhat reduced Oslo scene, what does it mean that Kunstnernes Hus launches “a platform for artist-run initiatives”? 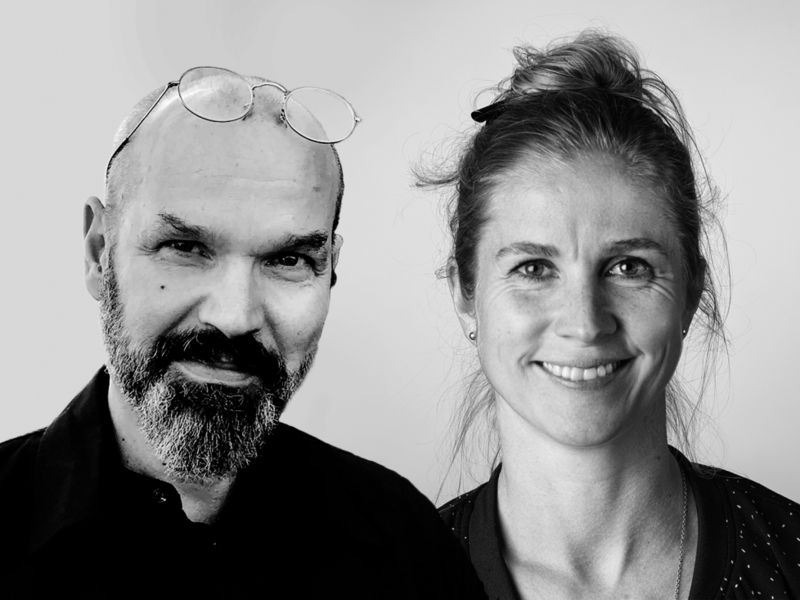 Quite specifically, it means that the gallery Destiny’s Atelier, the feminist initiative Karmaklubb, the aforementioned 1857, Bergen-based Entrée,and Guttormgårds Arkiv will be in charge of the programfor one of the venue’s galleries this year. We recognise this approach from the 1990s and 2000s, when large institutions sought to draw on the vitality of the independent scene by inviting its representatives into their hallowed halls. So what could possibly be suspect about this? Not much, really, as long as the approach is not used to exploit cheap volunteer labor, or causes an imbalance that saps the independent galleries of their energy. In any case, we look forward to the first official opening, featuring fourteen artists under the common heading Destiny’s Gratinée onJanuary 18th. 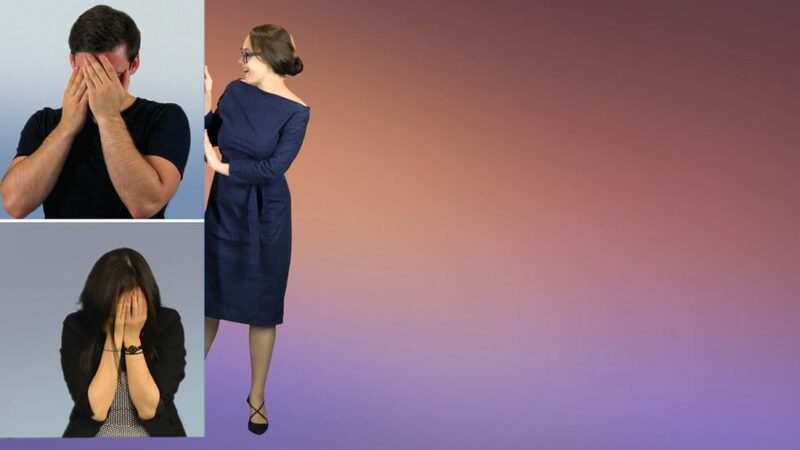 Critic Ingrid Halland, art collector Beate Mjaaland from AKO Kunststiftelse and artist Johanne Hestvold working on the project Sun and Spring in January – The Next Generation in Norwegian Contemporary Art, at the Astrup Fearnley Museum from 25 January. Photo: Birgit Solhaug. 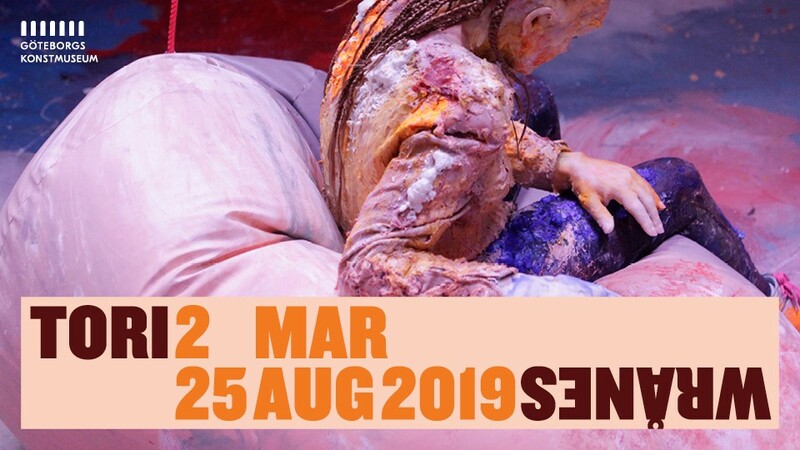 Among the various group exhibitions presented by major institutions this spring, there is no escaping Sun and Spring in January – The Next Generation in Norwegian Contemporary Art, on at the Astrup Fearnley Museum from January 25th. With the support of the governmental organization Talent Norway, the museum has staged three-way encounters in which a writer and an art collector have been assigned to each artist, thereby prompting what the museum considers an “interesting dialogue.”The artists are Miriam Hansen, Johanne Hestvold, Anders Holen, Henrik Olai Kaarstein, Mercedes Mühleisen and Constance Tenvik, and we can only feel honoured by the fact that all six writers are, or have been, regular contributors to Kunstkritikk. Exactly how the collectors are presented as “a constructive part of the Norwegian contemporary art world” remains to be seen. The last weekend of January will also see the opening of the fourth and final exhibition in the series Game of Life at Kristiansand Kunsthall. Idiosyncratically and intelligently curated and edited by Jan Freuchen and Sigurd Tenningen, the series has comprised the installments Etter rutenettet (After the grid, 2012), Knust i offentlig rom (Crushed in public space, 2014), Juliusvariasjonene (The Julius variations, 2016), and now: Prospektkabinettet (The prospectus cabinet) featuring Tom Lid, Nora Joung, Kristian Øverland Dahl, and Jonas Major. Yngve Holen, Hater Taillight, 2016. Headlights from a bus, powder coated steel, 28 x 105 x 90 cm. Courtesy of the artist, Galerie Neu, Modern Art and Neue Alte Brücke. 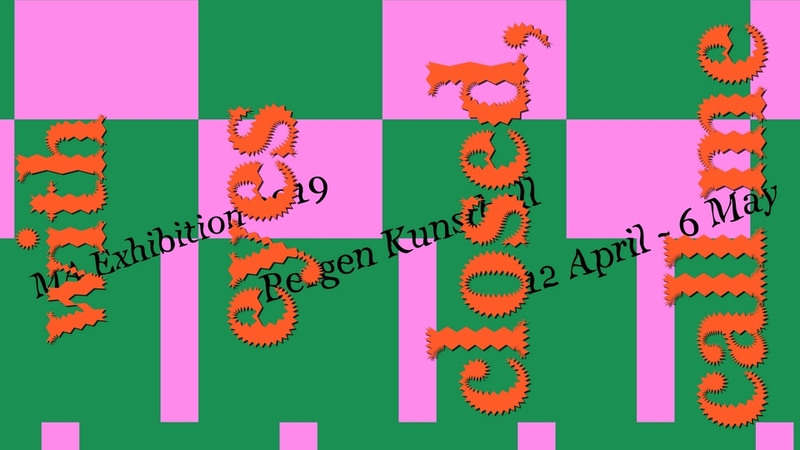 The most important solo show this spring, particularly as far as the general public is concerned, will undoubtedly be Yngve Holen’s exhibition at Kunstnernes Hus,openingMarch 1st. Norwegian-German Holen is one of the most prominent Norwegian artists of the 2010s, but this is still his first major solo show in Norway. The exhibition Heinzerling will consist of new works presented alongside selected works from the last ten years, allowing visitors to explore Holen’s tremendous vision of a new kind of human identification with things. 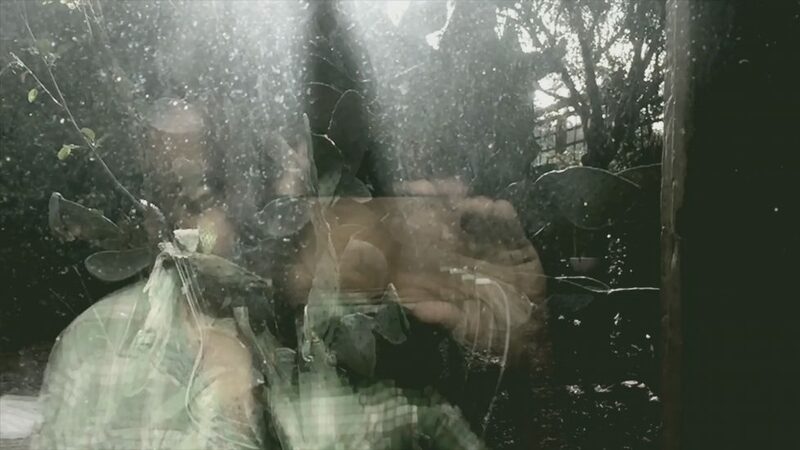 The question is whether the critics and audiences will be equal to the task of raising this conversation to an interesting, not to say universal level, or whether Holen’s objects will remain as kind of cool fetishes for those in the know. The show tours to Kunsthall Stavanger in May. Martin Sæther, Key, 2018. At UKS from 25 January. Other important Norwegian solo shows this spring include Marte Aas at Kunsthall Trondheim (opening January 17th), Martin Sæther at UKS and Pearla Pigao at Atelier Nord, both opening January 25th, Ann Cathrin November Høibo at Sørlandets Kunstmuseum from February 2nd, White & Berka at Oslo Kunstforening fromFebruary 14th, Marianne Hurum at Lillehammer Kunstmuseum from February 16th, Tiril Hasselknippe at Kunstnerforbundet from February 28th,and Fadlabi at Munchmuseet on the Move/Kunsthall Oslo, opening March 30th. The art presented in these exhibitions varies greatly in kind: camera-based (Aas, White & Berka), object-based (Sæther, November Høibo, and Hasselknippe), painting (Hurum and Fadlabi), and sound works (Piagao). As diverse as these artists are, their bodies of work all describe a situation in Norwegian contemporary art where the old divide between ‘political’ and ‘aesthetic’ art has become blurred, replaced by open-ended questions regarding the identity of art, as well as the identities of people. Happily, this list also points to a growing willingness to give contemporary artists in Norway the opportunity to develop substantial solo shows. Important international solo exhibitions on Norwegian soil are fewer and far between this spring, but Peter Wächtler at Bergen Kunsthall (opening January 25th) and Amanda Ross-Ho at Kunsthall Stavanger (opening January 31st) look promising. Wächtler crafts paranoid and misanthropic narratives and fantasies, partly in a comic book format, while Ross-Ho shows a series of textile works based on an early type of smiley designed to help children express and rate pain when in hospital. If we turn our attention to international solo shows featuring artists who are no longer among us, noteworthy examples include the minimalist Dan Flavin (1933–96) at Peder Lund in Oslo (opening January 26th) and abstract expressionist Helen Frankenthaler (1928–2011), showing at Kode in Bergen from February 8th. 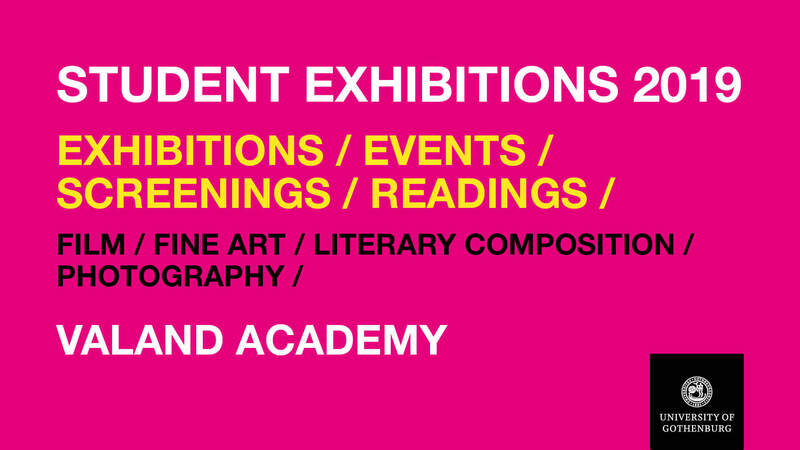 Once spring has arrived in earnest, we have the art academies’ degree shows to look forward to. 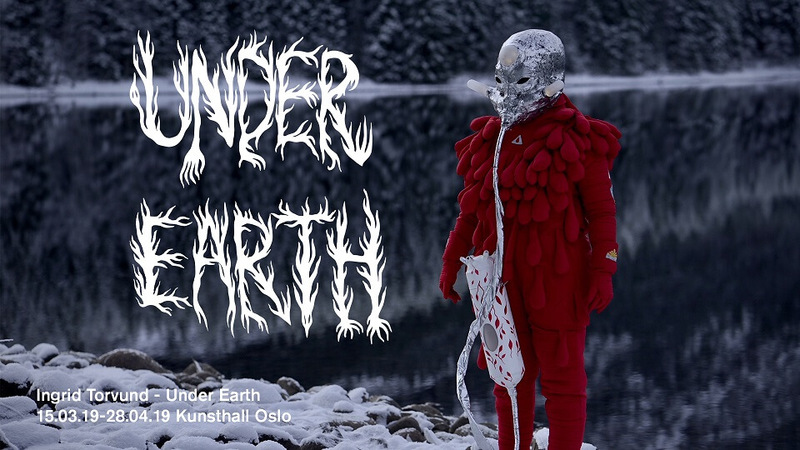 As per tradition, the series begins at Bergen Kunsthall on April 12th, continuing in Trondheim on May 4th, Oslo on May 9th, and Tromsø on May 10th. As many will be aware, the Oslo show has been surrounded by some controversy, as the artists were initially denied the opportunity, promised by the academy,to exhibit in the prestigious sky-litgalleries at Kunstnernes Hus. Now, Kunstnernes Hus and the Academy of Fine Art in Oslo have moved their MFA Degree Show back to the upper floors, ensuring that the students will get the setting they deserve for their graduation pieces. Protesting pays off! 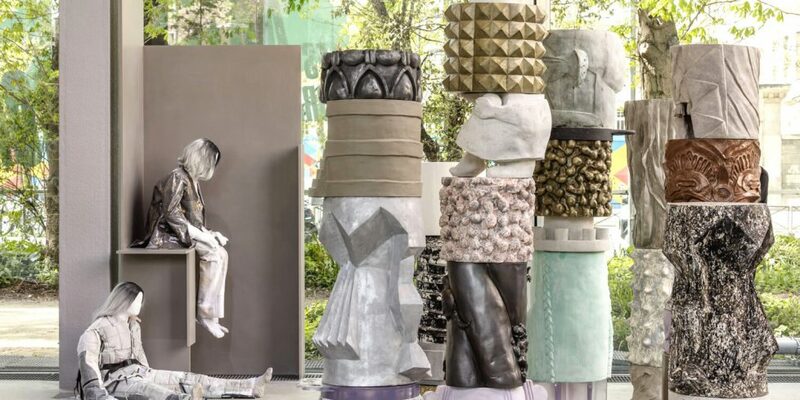 Also coming up in May: Bergen International Festival exhibition featuring Mari Slaattelid at Bergen Kunsthall, from May 23rd, and the first instalment of the Oslo Biennial, launched May 25th. Enjoy your spring and the art it brings! Amanda Ross-Ho, Untitled Crisis Actor (HURTS WORST Worst Pain Imaginable), detail, 2018.